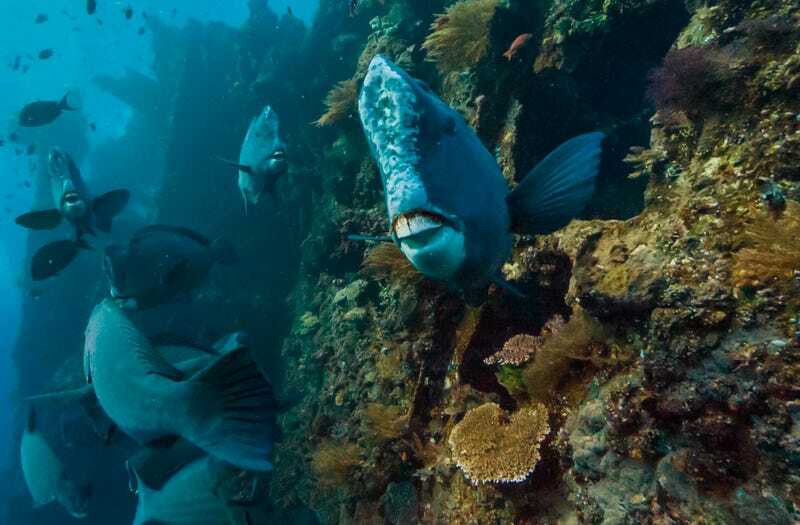 To celebrate World Oceans Day on June 8, Google has released a bunch of gorgeous new images of ocean life as part of its Street View feature in Maps. Now you can contemplate what it means, metaphorically, when your mapping app suggests that oceans are just as important as cities. Of course part of this effort is designed to call your attention to the ways that humans interact with the oceans in the same way we interact with the land. That’s why the effort also includes a Global Fishing Watch visualization, showing where we are fishing (and in many cases, overfishing) around the world. Check out the video, below, which offers a pretty stunning view of fishing patterns. Google did all this in partnership with XL Catlin Seaview Survey, NOAA’s Office of National Marine Sanctuaries and the Chagos Conservation Trust.